- Add cellular modem connectivity to your own IoT hardware solutions or use BitPipe� in autonomous mode for standalone M2M applications. - BitPipe� BP43G1-US Cellular Modem is a fully integrated compact wireless interface device that simplifies the development of IoT M2M connectivity solutions, reducing R&D costs and accelerating time to market. - BitPipe� family of interchangeable devices incorporates everything you need; certified cellular radio, DC-DC converter, digital and analog inputs & outputs, serial communications and software API. SSL data communication, SMS messaging and I/O reporting using MQTT are also supported. - BitPipe� IoT Connectivity Interface is designed to easily integrate any wireless IoT connectivity, the BitPipe� Modem Family modules, with your IoT solution and onto your printed circuit board (PCB). Once you�ve integrated it in your design, your IoT solution literally become multi-networks compatible; hence future network migration or upgrade will be no issue. 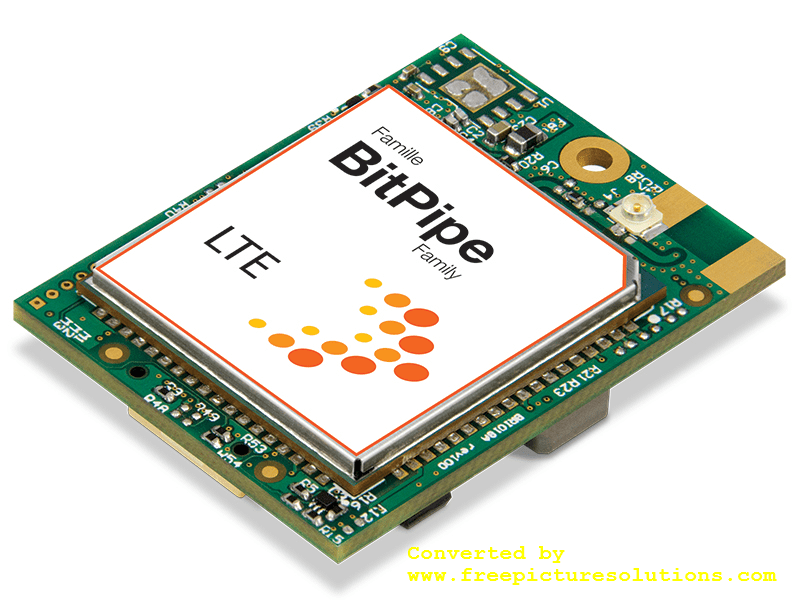 - If required by your IoT application design, especially if your IoT application or service requires the capacity and advantages of a high-performance LTE network, you can instantly establish an LTE cellular connectivity by simply inserting the BitPipe� 4G LTE Fallback 3G onto the BitPipe� IoT Interface; thus, accelerating greatly your time to market. - All our IoT Connectivity Modems are PTCRB-certifed, FCC-compliant & MQTT-ready.